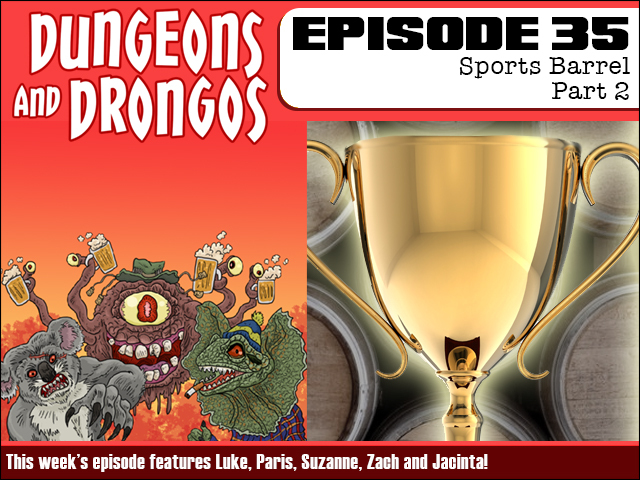 Dungeons and Drongos Episode 35: Sports Barrel Part 2! This week the Sports Barrel Tournament continues as our party (plus guest party member Channing Taters, played by Jacinta) go up against teams made of both new and familiar faces. But someone connected to Channing is about to put a spanner in the works and perhaps expose his greatest secret of all! And do the Octopies even have the talent to take home the cup? You should SUBSCRIBE to us on iTunes - because we do this every week! And here is the RSS FEED. Please support our new show by rating/reviewing and sharing our content. And why not join the discussion in our friendly Facebook group!? Or even go hog wild by subscribing/supporting us on Patreon! 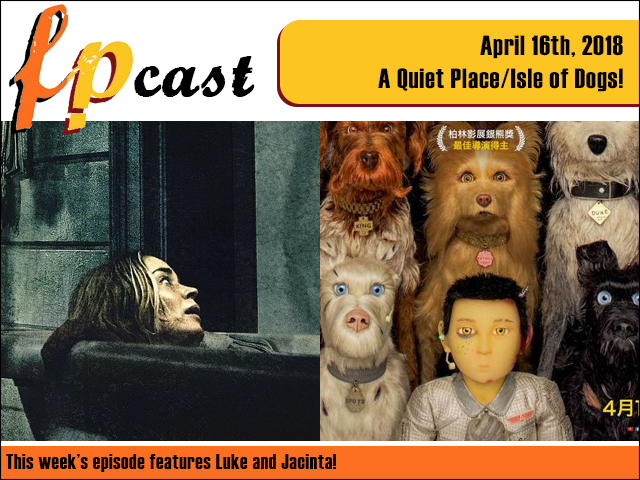 FPcast for April 16 2018: A Quiet Place and Isle of Dogs! This week we review both A Quiet Place and Wes Anderson's Isle of Dogs! Plus news, the trailer for The Meg, and a deep dive on whether stand-alone films are dead.